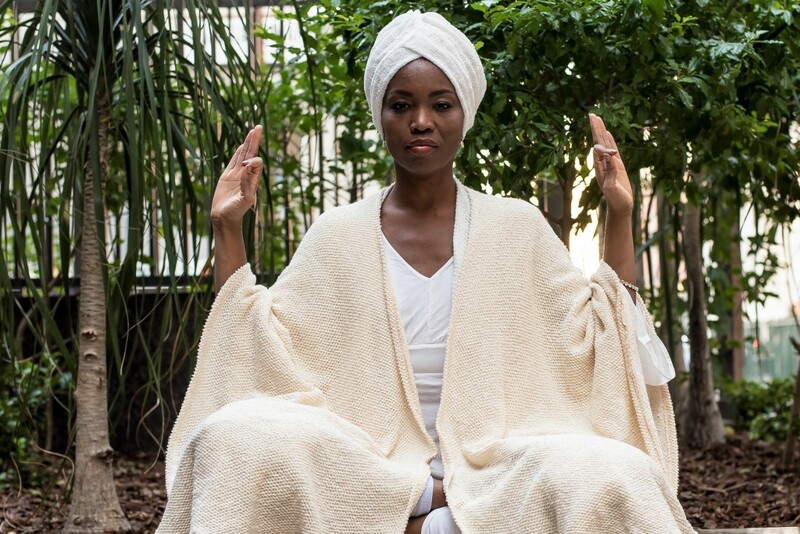 Fashion designer, model, and devoted yoga practitioner Venius Adams proves that a turban is far more than a head covering. Her traditional yet contemporary styles offer a refreshing twist on a classic Kundalini accessory with functional, playful, and sophisticated designs. Many of the designs in the VENIUS collection of hair accessories and luxe yoga wear have their origin in Venius’ meditation and yoga practice. She often envisions her creations while practicing yoga at Ra Ma Institute in Venice, California. In Kundalini Yoga, a turban helps increase focus and clarity of thought and energy. Each one of Venius’ turbans is inspired by this technology and practice. In addition, Venius believes that every woman is born a goddess, and her fashion-forward vision includes creating turbans that express a person’s natural strength and beauty, as well as their individual style. We recently caught up with Venius to learn more! My inspiration for the turban collection is my love for vintage pieces. I’m a big hat collector and also design hats. 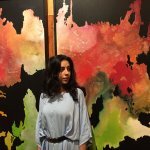 I discovered a vintage turban years ago! The response every time I wore the turban was so tremendous, I decided to make turbans in tie-dye and denim. At the moment, I thought this would be easier than my clothing line because we were in a recession when I got started. I thought this would be a more affordable accessory. Is your spiritual practice at all integrated into your creative process? Yes! I practice Kundalini Yoga daily! My morning meditation, listening to mantras, and reading Yogi Bhajan quotes! I attend classes and support my customers who practice Kundalini. 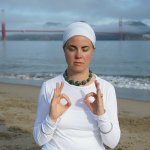 What do you love most about Kundalini Yoga? 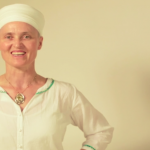 I love the spiritual power of Kundalini and the immediate results that create a better you! The electric energy! The beautiful community of love and support! My new one is my yoga jumpsuit that we’re launching very soon! It’s soft and easy. No fuss! What is your favorite yoga or meditation accessory? The turban, of course. It makes a difference! I can dress for yoga or go to meetings or dinner. It’s the ultimate accessory. What is the benefit of wearing white? Purity, comfort, ease, quick transformation! What are your hopes for your customers? What do you hope they receive from your offering? I hope that my customers feel the energy and love that goes into each and every piece! The joy of knowing my product serves them well! My customers are now my inspiration for my designs. Check out Spirit Voyage’s current Venius inventory!